A step response is a common evaluation of the dynamics of a simulated system. 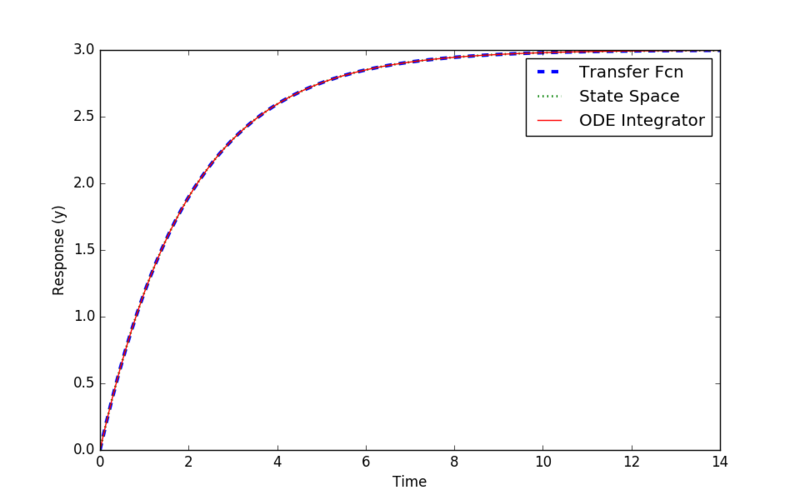 A linear time invariant (LTI) system can be described equivalently as a transfer function, a state space model, or solved numerically with and ODE integrator. This tutorial shows how to simulate a first and second order system in Python. Consider a first order differential equation with constants `K_p=3` and `\tau_p=2`, input `u`, and output response `y`. 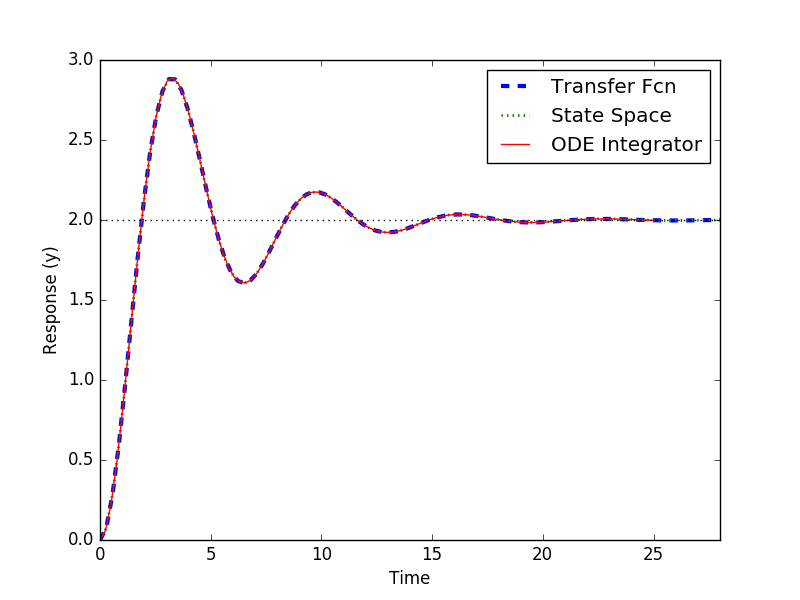 Three methods to represent this differential equation is as a (1) transfer function, (2) state space model, and (3) semi-explicit differential equation. Source code is included below to simulate a step response in these three forms. A simple higher order simulation is the combination of n first order equations. The value of the time constant is 10/n in this example. The first equation is a first order differential expression. Additional equations are also first order differential expressions for i = 2, n.